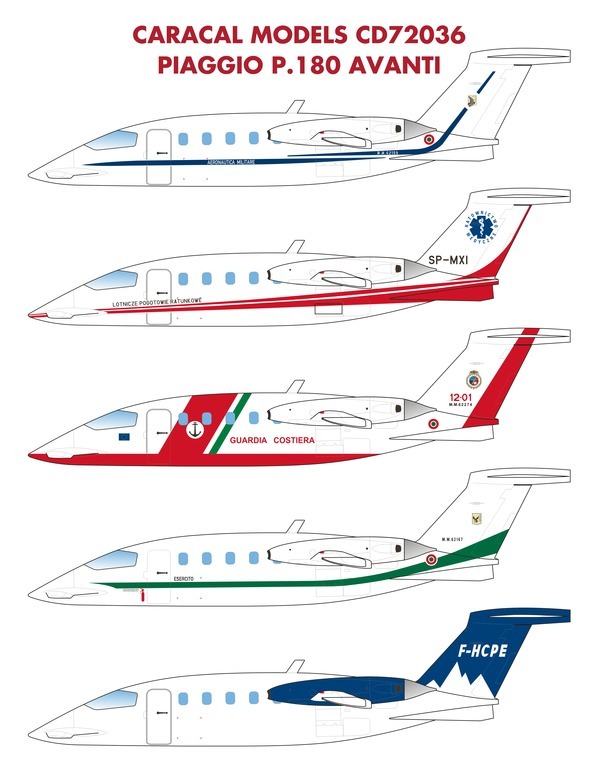 With its striking, futuristic look and versatility; the Piaggio P.180 is one of the most successful light transport designs from Europe in the recent years. The P.180 has been popular both as a light business aircraft and in the military liaison / personnel transport role. 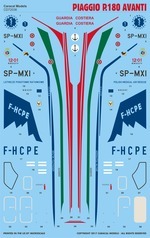 This decal sheet provides five new marking options for the AModel kit of the P.180. All markings are designed to fit the AModel P.180 kit. This sheet was professionally screen printed by Microscale in the US.